A few weeks ago, we provided a list of blogs that can potentially help you improve your credit rating. With the credit score situation becoming worse for many Americans today though, we decided to revisit this topic to let you in on the latest news, tips, and strategies you can implement in order to achieve a better financial well-being. Jim Wang @ Bargaineering provided 7 practical tips on how you can compare credit reports and improve your rating. If you’ve been reading up on the topic before, you probably already know the gist of the blog’s content. It basically talked about disputing inaccuracies, paying debt, and the strategies you need to implement with regards to opening and closing accounts. Jack @ Family Finance Help entered a helpful post titled “Best Way to Improve Your Credit Score after Bankruptcy”. 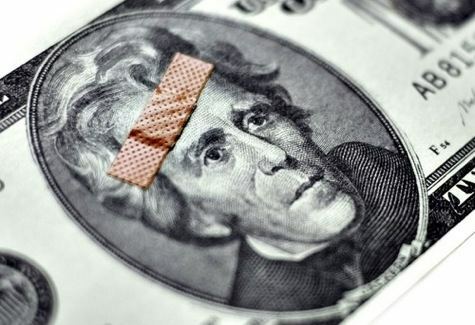 Even though this post is specifically targeted towards individuals who have experienced the devastation of bankruptcy, some of the insights are applicable to ordinary Americans. The blog also talked about treating bankruptcy as a last resort. If you’re interested in fixing your credit scores quickly, then reading an entry from Protect Life may be useful for you. Whether you’re buying a new home, a car, or trying to get a student loan, it is important to be sure that your credit rating is acceptable to the lender. Otherwise, you might need to deal with high interest rates and get buried under debt. With new reforms law being implemented in the finance industry left and right, it is almost inevitable for consumers to feel certain repercussions. The government, the banking industry, and the consumers are all adjusting to the new economic reality. There is a shake-up in almost everything from credit card practices, mortgage loan applications, and credit score. Our previous posts for this week dealt mostly about credit card practices. Now, we will look deeper into the expected changes on your credit report. Justine @ Credit Karma talked about how your credit report can hurt your chances of landing a job. According to the Society of Human Resource Management, as much as 50 percent of companies look at the credit history of prospective hires. A lot of employers believe that an applicant’s credit report says much about his character, work attitude, and future job performance. For the 14.5 million individuals who had just lost their job, turning to their credit card can actually be damaging to their future employment. Be sure to have a repayment plan in place whenever you take on debt. Sharon @ Mint listed the 10 Commandments when it comes to maintaining a good credit score. As you probably already know, the credit score can make or break your finances. In fact, it will even affect your chances of getting a job. Among the commands found on the post include not limiting loan types, not missing payments and not closing unused credit card accounts among others. Tracy @ the Card Offers Blog offers advice to new credit card users with her post titled “What Does a New Credit Card User Need to Know?”. Basically, she cautions users against abusing their credit privileges. Less banks are issuing credit cards these days and they only do so when they have a reasonable expectation that the user can and will pay it back. If you make a lot of missteps on your first card, it might take years before additional credit is extended to you by any company.